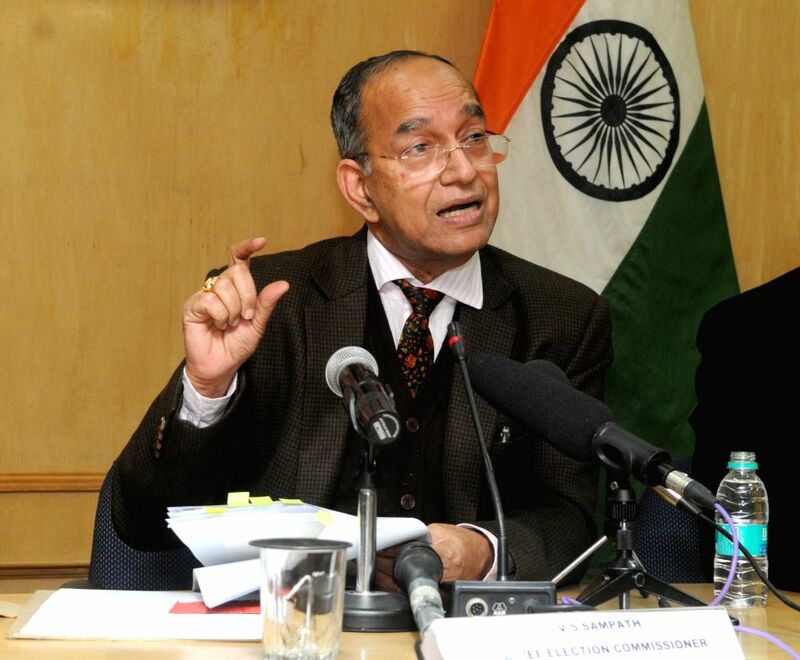 New Delhi: Chief Election Commissioner V.S. 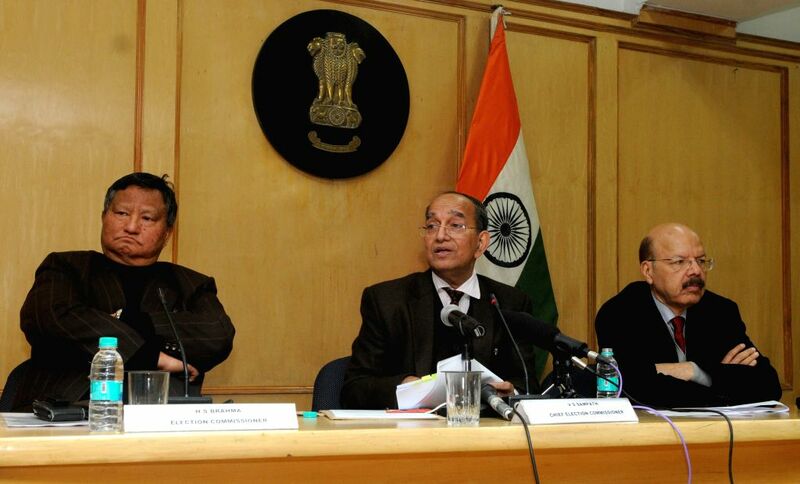 Sampath addresses a press conference to announce the dates for Delhi Assembly Polls in New Delhi on Jan 12, 2015. Also seen Election Commissioners H.S. Brahma and Dr. Syed Nasim Ahmad Zaidi. The polls will be held on Feb 7 and the votes will be counted Feb 10. The last date for nomination of candidates will be Jan 21 and they could withdraw from the contest by Jan 24.